Recent installation of a wall-mounted large angel sculpture. 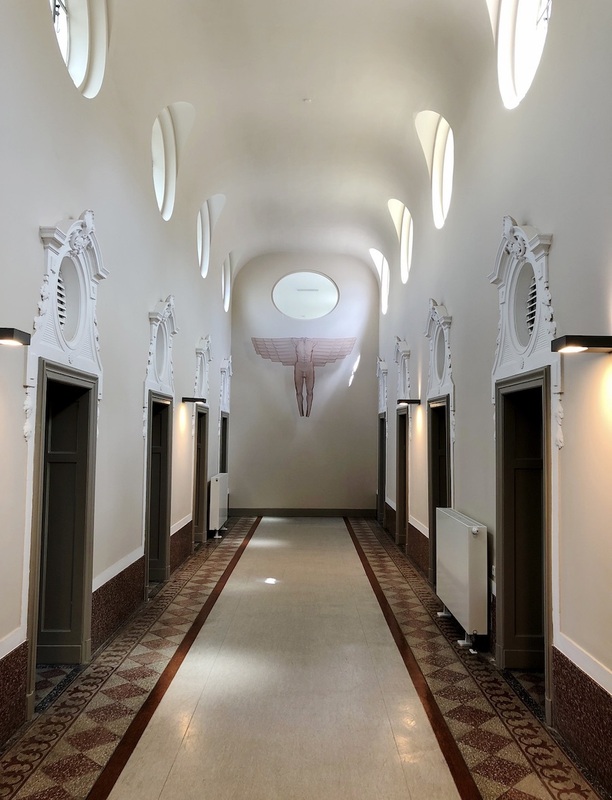 Installed this summer near Cologne, Germany, my latest winged sculpture 'ICARUS' is made of bronzemesh, commissioned to adorn a grand entrance hall of a radiology center. 'ICARUS' has a wing span of 240 cm and in this image the sculpture is lit by sunlight to welcome visitors. The installation was perfectly coordinated by Wiktor Borowski, Continuum Gallery, Königswinter.